Design: Designed to be the ultimate sport utility yacht, the Q44 leads the way in adventure yachting. A beautiful vessel that’s purely about entertaining, engaging, and maximizing your group’s time outdoors. The bridge and lounge seats are accessed through port and starboard entries while the entertaining will be focused around the island style outdoor galley. 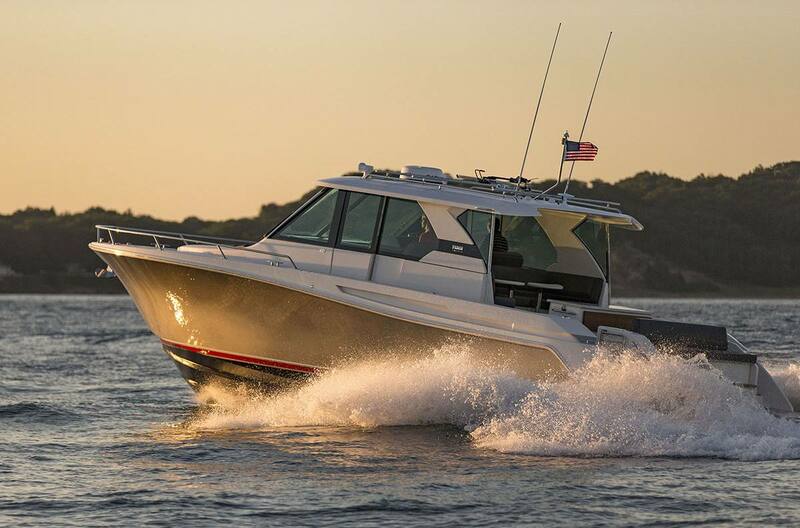 Just aft, the cockpit opens to a lengthy, full-beam swim platform offering an enormous, water level deck to enter and exit your favorite remote cove. Teak, fabrics, and composites intersect beautifully in every architectural feature below deck and above, designed to the highest standards of comfort and performance. 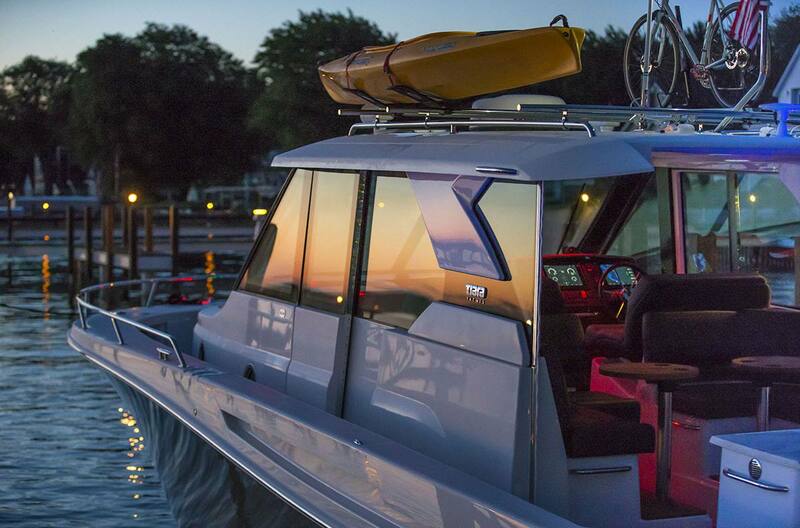 Not at the expense of functionality though, with more purpose-built storage and accommodations than ever before, for kayaks, paddleboards, bicycles or whatever you want to bring along to further your greatest day yacht adventures. 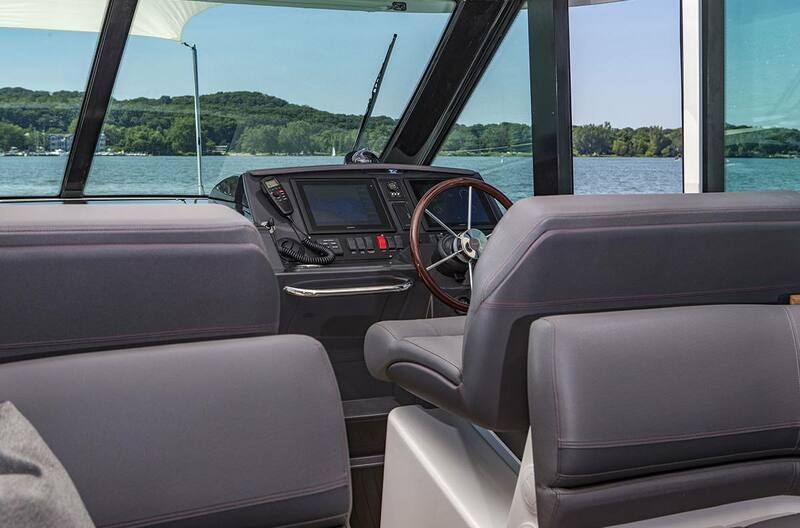 Engineering: The Q 44 has a standard Volvo Penta IPS system, complete with joystick controls or may be equipped with an optional straight-drive system. 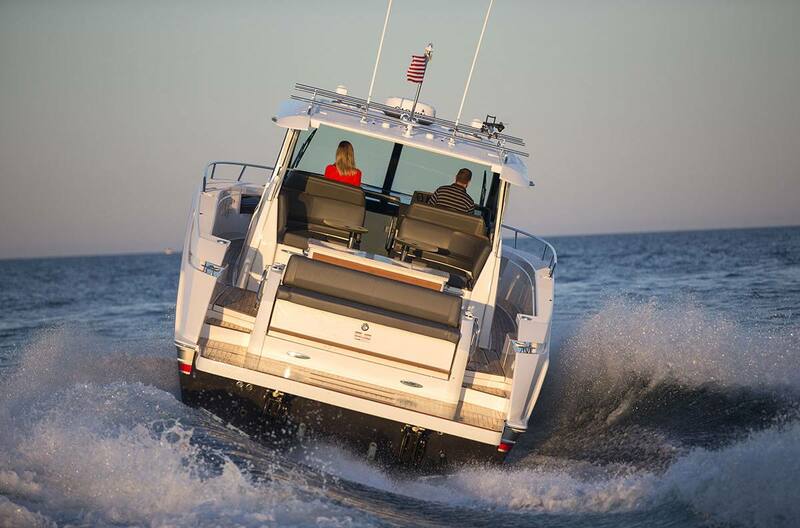 The powertrain provides a confident cruise at 25-30 MPH and a top end of 35 MPH with the Volvo Penta package. 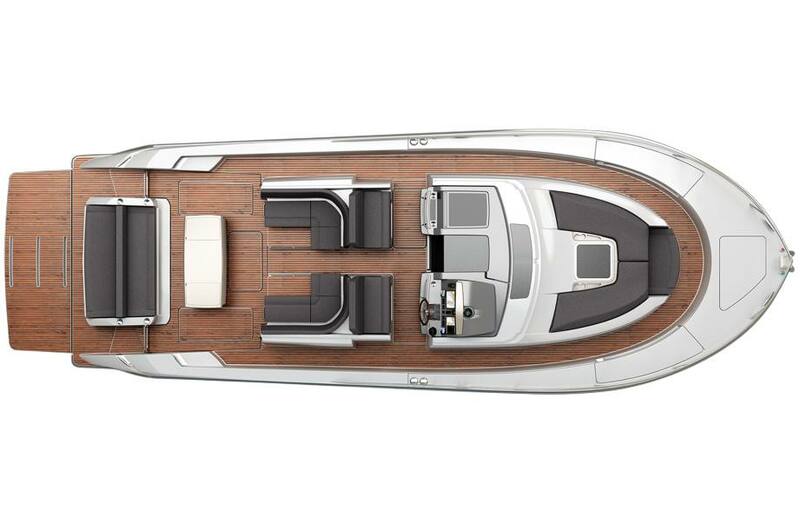 Tiara Yachts' glass cockpit combined with chrome accents provide the highest technology in an impressive helm layout, complete with modern yacht styling cues. 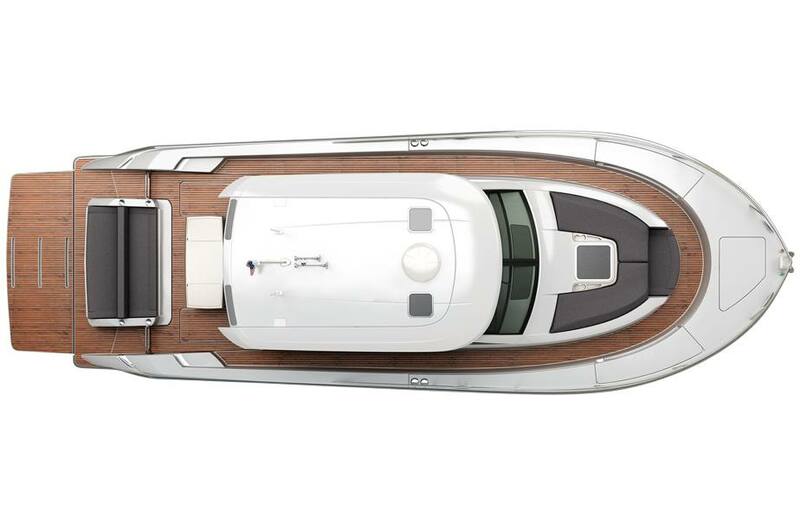 The Q44 is engineered to provide peak performance in a nimble and pleasure-to-pilot package. 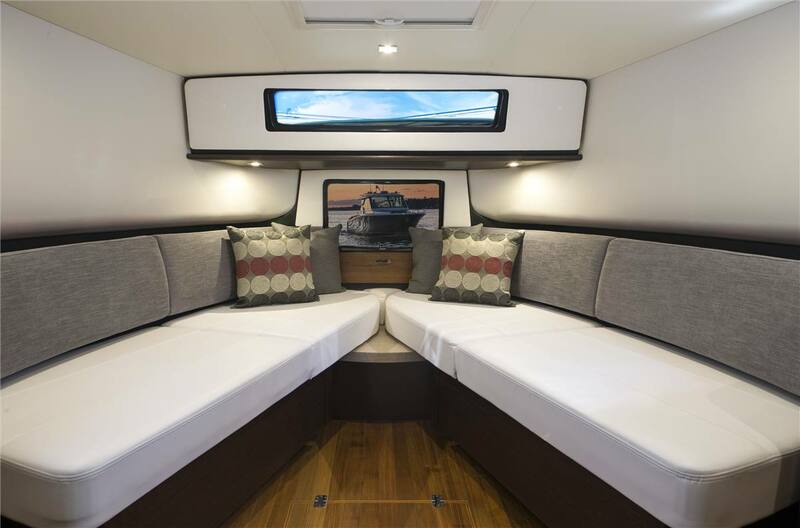 Layout: Full walk around capabilities, ample seating and easy access to bridge and lounge seats through port and starboard entries complete the outdoor/in living and layout. 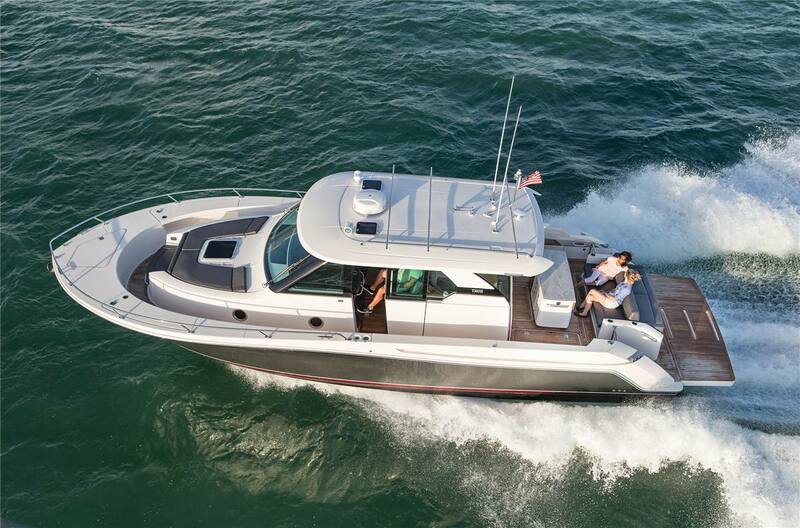 Tiara Yachts' transferable limited warranties: five (5) years on hull and deck; two (2) years on accessories. Exclusions apply - refer to 2018 warranty statement for specific details & coverage areas. Double wide captain's chair with electric fore & aft adjustment. DC panel below. Double wide companion seat with electric fore & aft adjustment. Storage below. 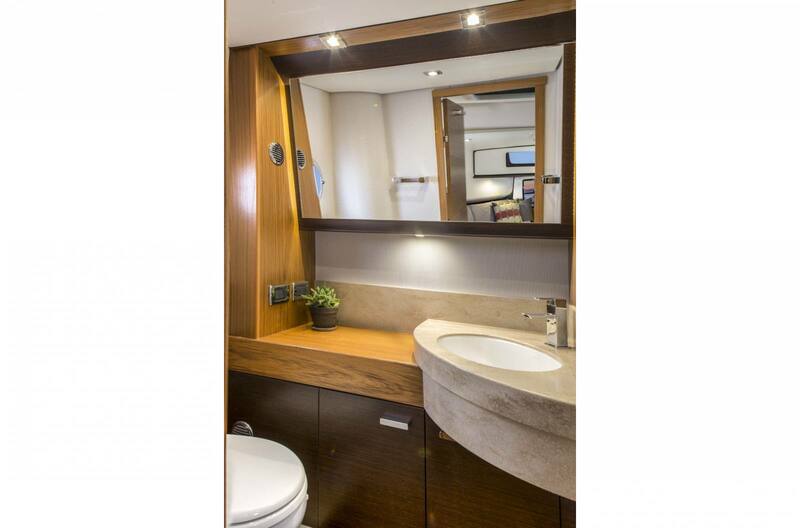 Opposing L-lounge seating, converts to exterior berth. Flip up arm rests. Cooler box & storage on starboard side, storage on port side. Removable drink holder.